Let’s be real: this incredible woman will probably be featured in countless of these lists, and she deserves all the praise people undoubtedly give her. I fell in love with the Harry Potter series starting in second grade, and I’ve been a devoted fan ever since. 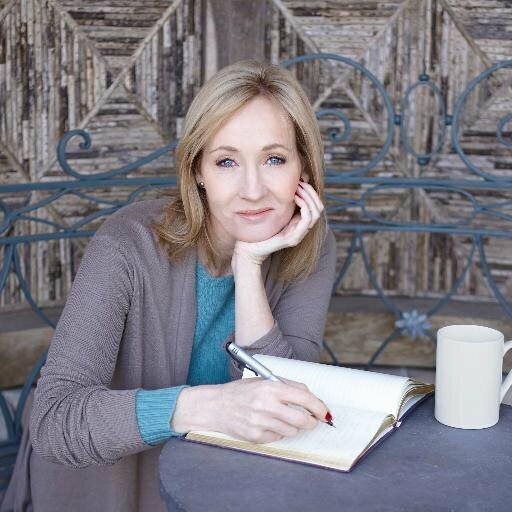 J.K. Rowling helped open my young eyes to the pleasure of reading as well as to the sense of community that can accompany such a great story, and for that I will be forever grateful. The first time I read The Hobbit I was taken aback by the personality and charm in such an old story. When I think about it, I actually think it was the first time I was exposed to “classic” literature (I would call it a classic, but I don’t know if it is actually considered one). It wasn’t long before I read and fell in love with The Lord of the Rings, and my enthusiasm for this fantastic story has not waned since. J.R.R. 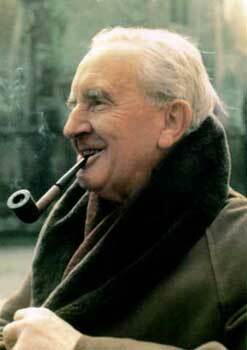 Tolkien was a masterful writer, one who will certainly continue to captivate and inspire future generations of readers. 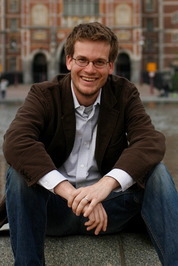 Oh, John Green, what can I say? I adore you. I started watching Vlogbrothers (the Youtube channel he created with his brother, Hank Green) when I was in seventh grade, and shortly after that I read all of his books. I’ve reread them so many times since then that I’ve honestly lost count, and I seem to love them more and more each time I read them. There’s something about his writing that makes me feel like he really understands people and what we all go through in life, especially teenagers. Somehow he’s able to capture those moments and feelings that we collectively experience but never manage to talk about. I’m so happy that he’s been wildly successful in recent years, and I can’t wait to read what wonderful work he creates in the future! The Outcasts of Schuyler Place is the first E.L. Konigsburg novel I ever read, and it has remained one of my favorite books of all time since I was in third grade. I’ve read many of her other books since then, and they are all charmingly quirky, heart-warming, and memorable. They might be meant for younger readers, but that doesn’t mean that others can’t enjoy them as well! Her writing is witty and insightful, and even though I’ve reread her books many times I always seem to glean something new from them. I’ve only read two of Melina Marchetta’s books (Jellicoe Road and Saving Francesca) but she nevertheless must be included in this list. Jellicoe Road is quite possibly my most favorite book of all time, mostly because of the amazing characters and the attention to detail in the plot. You really feel as though her characters are based on actual people because they have so much depth to them. She is able to capture the feelings of emotions and experiences in such a way that makes you feel connected to her writing, which is a skill I greatly admire. Although I have only read A Christmas Carol, A Tale of Two Cities, and Great Expectations by Charles Dickens, I feel extremely confident in saying that he is one of my favorite authors. His writing in Great Expectations blew me away, and his brilliance and wit are apparent in every word he has penned. His stories are timeless and will no doubt continue to entertain and provoke thought in readers for years to come. He had quite a tragic life, yet he was nevertheless able to create such enjoyable pieces of literature. I can’t wait to read more of his work! I’ve read seven books by Cassandra Clare (the entire Mortal Instruments series and Clockwork Angel) and I loved all of them. 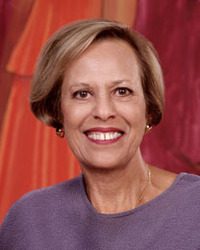 Her stories are detailed, engrossing, and completely different. What can compare to the awesome world of the Shadowhunters? Michael Grant is the only author I have actually met in person, so he holds a special place in my bookish heart. He’s such an interesting, down-to-earth guy who really cares about his fans. I loved the Gone series when I was in middle school, and his books actually one of the reasons I met one of my good friends. His ideas are unique, fascinating, and never cease to surprise me! Neil Gaiman’s writing is honestly unlike anything I’ve read before. It’s wildly witty, brilliant, charming, magical, and utterly captivating. He writes for all age groups and defies genre boundaries in this world of constant categorization. His stories have a fairy-tale feel to them that I just can’t seem to get enough of. I’ll definitely be reading more of his work in the future! This author is a definite throwback to my childhood! One of my elementary schools in particular used to read us Roald Dahl’s books all the time, and I loved every single one of them! They’re fun, playful, quirky, and incredibly imaginative. My personal favorite is The BFG- oh, how I adore that book! I longed to befriend a Big Friendly Giant of my own when I was younger. What are you’re all time favorite authors? What do you think about the authors on my list? Let me know in the comments section below! I had Neil Gaiman as well, you’re completely right about the genre-defying nature of his work. I haven’t read The Ocean at the End of the Lane yet, but I will soon! I love this list! I love Tolkien’s Middle-Earth! I really want to jump in the book and vist it. It’ll be cool to chill with the elves. I think John Green captures the teenage point of view perfectly with the ups and downs and the flaws that make us human and young. I think he’s still a teenager at heart. I love your list, I didn’t even think of Roald Dahl! Love this list! Such a great selection of authors! So many favourites (both books and authors) thank you for sharing them! Love your list! So many of my favorites. 🙂 Here’s my Top Ten. Roald Dahl is an amazing author. I’m not sure how I managed to leave him and J.K Rowling off my list! Massive oversight on my part! I enjoyed reading John Green’s novel, The Fault in Our Stars last year!! Charles Dickens is also a good writer. Hey I have Michael Grant on my list too! Excellent list! I spy some authors that I REALLY want to read here like Melina Marchetta and Charles Dickens. I really hope to get on reading their books!